What is antivirus software for a small business in terms of the impact on end results – profits? While we all know that the Internet is still the wild west in many ways as it relates to threats, how does antivirus software actually save money for an organization? 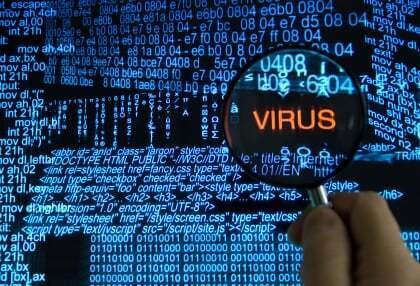 Antivirus software defends against known threats through what are called signatures or against suspicious behavior. It is ultimately about repelling malicious attacks which may result in slow computer performance, lost data, system downtime or other negative outcomes. How does this really affect a small business? Let’s take the example of a small business with a $1.5M annual payroll. This results in a $750.00 hourly rate across the employee base assuming 50 work weeks. If there is an hour per month on average of productivity lost across the employee base due to a poorly protected network, it would cost the company $9,000.00 per year. It is best for the small business owner to make the assessment of exposure, there is clearly ample motivation to make sure that good protection is in place and always updated. There are a number of options to making sure that profitability is not impacted in this way. There are on-premise products for antivirus protection from a number of vendors or it can be provided as part of IT Managed Services. The benefit to the latter is not only ensuring that licenses and signatures are up to date, but also having professional services experts in place who know what to do in case of attack. Antivirus is only one example of information technology that can impact the bottom line of a small business. There are other threats (e.g. Spam, data loss, etc.) and other opportunities such as having the right technology to drive sales, increase productivity and improve efficiency. While each individual area of IT may seem small in terms of impact, taken together they quickly add up and are often hidden. How much time has your company lost from virus issues?